Rocco Commisso’s story is atypical. After reuniting with his father, who came to the United States hoping for a better life, the boy of Marina di Gioiosa Ionica faced the obstacles of life as an immigrant. His perseverance, hard work and intelligence made the difference. It’s not easy to adapt to a new culture and new traditions, especially when your family takes you away from your adored Calabria at the young age of 12. 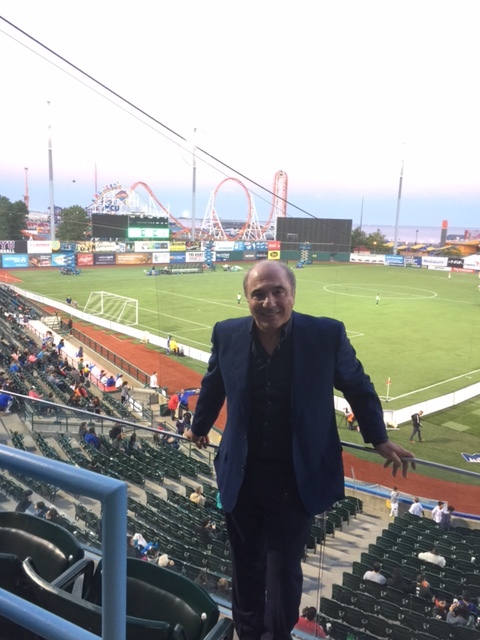 However, life has surprises, and the story of Rocco Commisso is full of key moments that shaped a boy in love with soccer into a successful entrepreneur in the land of opportunity. His growth in the business world has been remarkable. Rocco (as he prefers to be called) was able to create an empire with the simple daily sacrifice and technical knowledge acquired over the years. Mediacom, his cable TV company that he founded in 1995 and today is the 5th largest in the United Sates, generates over $1.8 billion in revenue annually, employing 4,600 people in 22 states. Although I could write for hours about his business accomplishments, I would like to give greater importance to his generosity, typical of people in southern Italy, and his way of being social and socially committed. “Thanks to soccer I was accepted to the prestigious Columbia University. They granted me a full 4-year tuition and board scholarship and later named their soccer stadium after me. 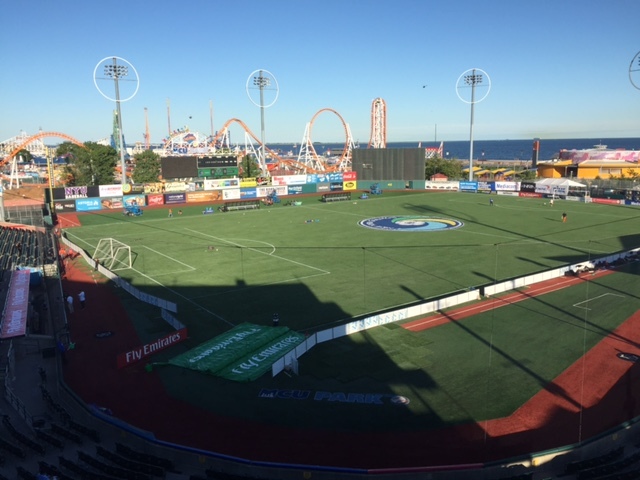 This was a key moment for my career,” – said Rocco Commisso. His way of dealing with life has always been positive and with the firm desire to reach important goals for himself, for his family, but also to help others. In fact, in commemoration of the September 11th, 2001 tragedy, Rocco decided that it was time to help the community as well. Since that tragic event, he has delivered more than 1,500 educational scholarships nationwide by developing programs like the Mediacom World Class Scholars Program, the September 11th Memorial Scholarships Fund, the Mediacom Entrepreneur of Tomorrow Award, and the Rocco B. Commisso American Dream Scholarship Program. “I firmly believe in education as a determinant factor in achieving success. Without the scholarships I received from Columbia, at a time when I was in need of financial assistance to attend a great university, I doubt that I would have made it far in my business career.“- confirmed Rocco. When his studies ended, Rocco understood that the American world had prejudices against Italian immigrants. With some frustration he referred to the problem he faced when he tried to enter the US financial world. However, thanks to his tenacity and professional qualities he was hired by Chase Manhattan Bank (now JPMorganChase) where he made loans to media and communications companies, including entrepreneurial start-ups in the cable TV business. This was another pivotal moment of his career. Rocco Commisso is a humble and joyful person who faces life fearlessly. 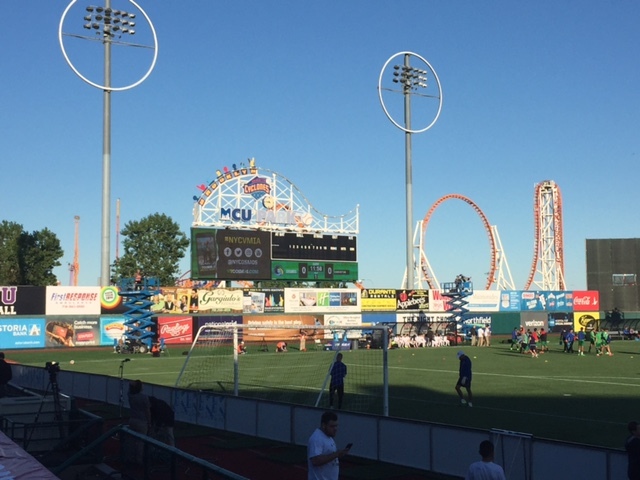 His passion for soccer has pushed him to save the New York Cosmos, the iconic New York based soccer club that had fallen into financial trouble and was likely to disappear. 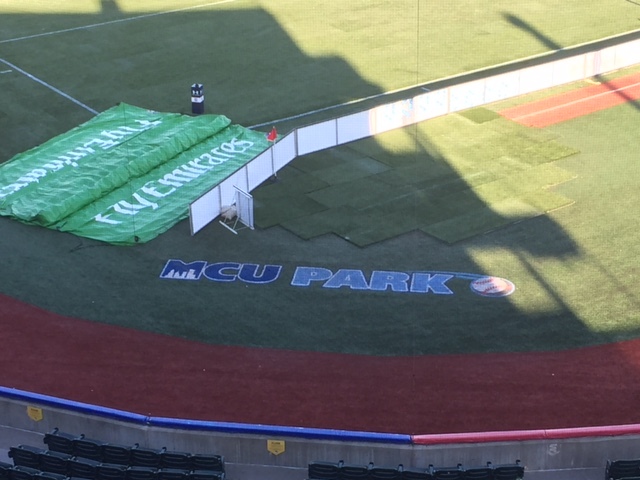 He ultimately made the decision to buy the NY Cosmos and save the legendary club from ruin. 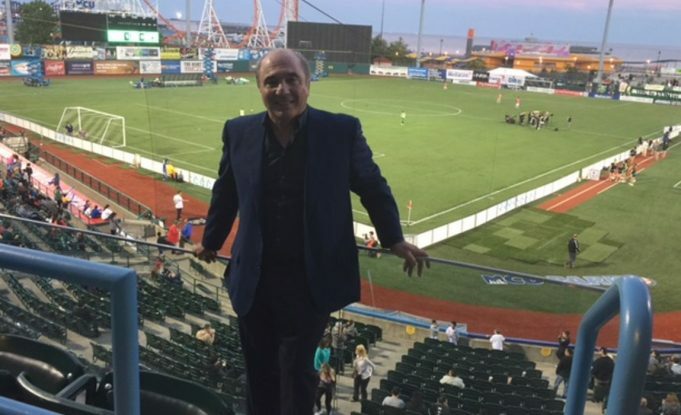 Since January 2017, Rocco Commisso said it feels like he dedicates 99% of his time to his beloved club. When the consortium Di Benedetto-Pallotta decided to start negotiations with Unicredit to get the majority stake of AS Roma, Commisso was contacted to ask his interest in becoming one of the investors. The passion for the Bianconeri is predominant in Rocco’s life. Having refused multiple investment proposals for his adoration of a club makes him an even more respectable and passionate man. His approach to Italian football, however, is extremely sporty. Although for many soccer experts the difference in revenues between Juventus and other Italian clubs seems to be the most important factor, Rocco is not of the same opinion. “For many years Juventus won very little. Then Agnelli and Marotta assumed management of the club and reversed the negative trend, creating a successful team. You don’t just win with money but with ideas and business strategies implemented properly. It is equally true in the business world. Mediacom is successful and still around after 22 years, while much larger companies, with greater financial resources, have either gone bankrupt or been sold. Look at Manchester United’s (the world most valuable club) and Leicester City’s cases. The first has spent a lot without getting big results in recent years. The latter, one of the poorest teams in England’s top league, created a business model that led them to victory of the Premiere League. Rocco’s personality is even more impressive when we talked about the MLS. 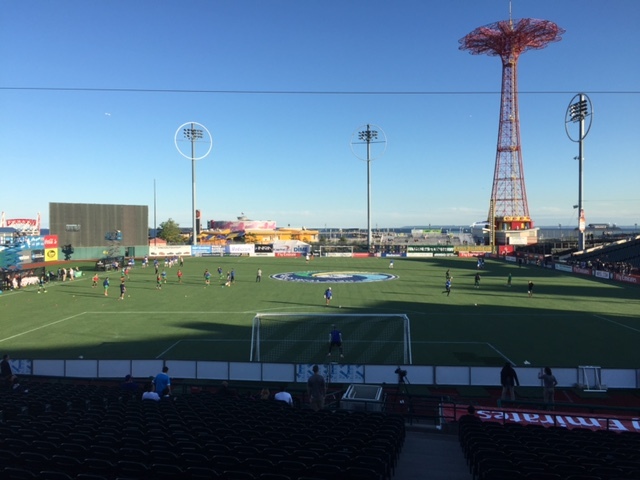 Major League Soccer is the US’ primary Division 1 championship that is seeking to increase its visibility globally. Although in recent years some results have been achieved, Commisso believes there is still a lot to work on. The NFL (National Football League) takes in $1.9 billion in television revenues annually for 16 games broadcast on Monday Night. For hundreds of games, including the telecasts of the national men and women teams, the MLS and the US Soccer Federation bring home only $90 million. This is a system that needs to be changed and my idea of promotion and relegation could transform for the better US soccer. FIFA should also do its job and push for a different system of professional men soccer in America, where meritocracy is at the base of competition. Brazil, Italy, Germany, Argentina, Uruguay, England, France, and Spain—the only nations that have won World Cups the past 85 years all have promotion and relegation in their professional men leagues. To succeed in the US, we need to emulate the best practices of the greatest soccer powers, and a promotion and relegation system, in my opinion, is probably the most important change that would lead to field and financial success in the near term. We just cannot wait another 50 years. Even with regard to the acquisition of stars from the European or South American championships, Rocco has clear ideas. “We need young talented footballers willing to play in the United States. We should not focus our attention only on older world-renowned players who have developed their careers entirely in Europe. The feeling is that Rocco Commisso’s “battle” to improve US soccer will continue uninterrupted. His media and communications experience combined with his soccer knowledge and southern tenacity could bring enormous benefits to the American soccer system. The day passed with the Chairman of the New York Cosmos and his collaborators reinforcing my idea that soccer in the States has great potential for improvement. With loyal, passionate and knowledgeable people like Rocco, the road to success is viable. 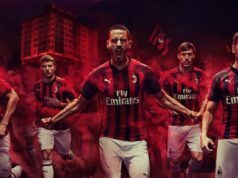 Next articleSerie A online streaming rights, why the lack of interest?